FAMCO (Fresh Air Manufacturing Company) is a company that manufactures and distributes air ventilation products for households and commercial buildings alike. They started out in 1989, and are now considered one of the largest manufacturers of air ventilation products in the Pacific Northwest. FAMCO has factories at three locations in Idaho, yet they distribute their products to over 2,000 of wholesalers nationwide. You can also purchase them online or over the phone. Their building, roofing, and HVAC products are made with the finest raw materials, by workers who are experienced and skilled. A system known as Lean Manufacturing is used to ensure that the utmost in quality, efficiency, and customer satisfaction is always achieved. Rest assured when you buy their products, that you are using one of the best brands in the market today. FAMCO offers a wide variety of different specialty products, including roof vents, soffit vents, wall vents, gable vents, foundation vents, chimney caps, HVAC dampers, and pipe flashings, among other items. Their great selection is a large part of why customers keep coming back for all their HVAC, building, and roofing needs. FAMCO has a large selection of ventilation products in particular. Register vents are manufactured by FAMCO, and the number of options is truly remarkable. You can purchase sidewall register vents, floor register vents, and most of these come with dampers, which are valves or plates that regulate or stop the flow of air. 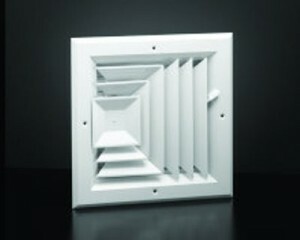 There are well over a dozen different types of register vents to match your needs for your home or building. They run from about $10, to almost $50 on the high end. All of the FAMCO line products are made out of heavy gauge powder coated steel or aluminum, which are some of the more durable materials out there. This way, you should not have to replace them or have them repaired for many years. You can spend your money on things that you enjoy, instead. The FAMCO company has been in business for over 20 years, and they have become leaders in the industry. Be sure to take advantage of the discount available when you create an account on their website. Wholesalers also can create an account with the company, to ensure that they will be given priority treatment and great prices. An online store on their website shows the whole selection of the products that FAMCO has available for you to purchase. There is also an option on the site for tracking the order that you have placed. If you have building needs, or would like to add a vent, fan, or other HVAC accessories to your home or business, consider buying from the FAMCO line of products. You will not regret that you did.